If you follow me on instagram (here), then you know I love rocking my bunny ears in all shapes and form. I have these wire ones I purchased while living in Korea, some DIY ones, a bunny ear beanie, and just anything in the shape of cute animal ears that I can put on my head. 1. Measure/cut 36" length. I wrote 36" as a standard length, but for best results, measure exactly how much you need to wrap around your head, to twist, and have whatever length ears you desire. 2. Measure/cut 5" width. Since making a few in 5", I personally have come to the conclusion that it is much cuter at a thinner width. As an after thought, I would suggest 3" width. 3. 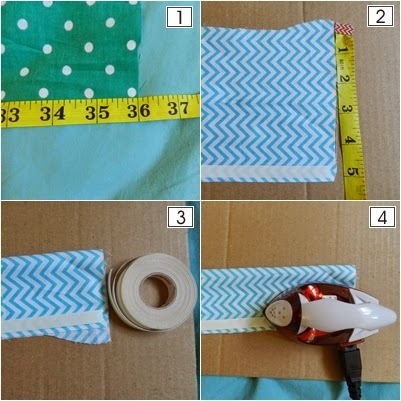 With the right side of fabric facing up, apply the fabric tape on one side across the length as close to the edge as possible. 4. 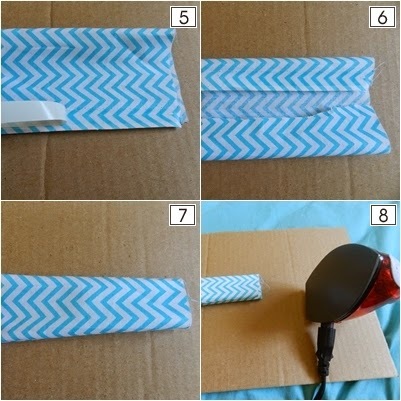 Iron the fabric tape (before peeling the top layer off) so it adheres to the fabric. 5. 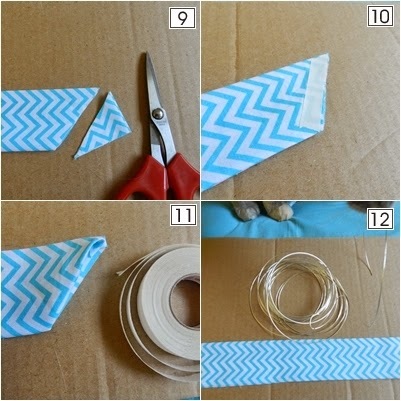 Remove the top layer of the fabric tape. 6. Turning the fabric wrong side up, fold both sides 0.5" or to the size of the fabric tape (now the fabric tape is back to facing up). 7. Fold the entire fabric in half so no raw hems are visible. Fabric is now facing right side up all around. 8. Once everything is all lined up, iron the fabric flat so both sides are now attached by the fabric tape. Now a tube has been formed. 9. Snip both ends of the tube to create a point. This will be the bunny ears. 10. 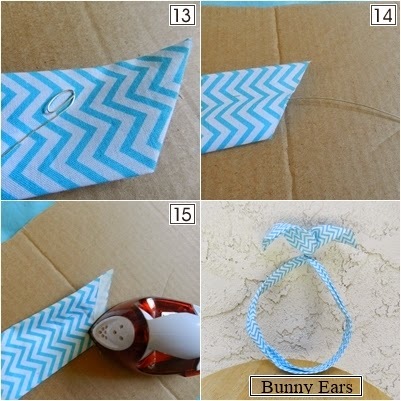 Iron on a piece of fabric tape to each pointed end. 11. Fold in only one end, so there is no longer any raw hem and it is now closed. Do not seal both ends, leave one opened. 12. Measure/cut the wire to be the length of the tube plus an additional 2". 13. Twist the ends of the wire (1" worth), so the now dull ends can no longer poke through the fabric. 14. Slip the wire all the way in the tube through the opened end. 15. Repeat step 11 by sealing the last opened end and WHALA~.